1) A wreath inside or outside is super easy and a great way to show fall's bounty around your home. Use natural foliage from your garden, or buy one with natural or faux foliage to spruce up your door or walls. 2) A pumpkin is an easy purchase and just placing a couple of these on your porch makes a fall statement. 3) Transition summer pots into fall by just replacing summer annuals with cooler weather fall plants that come in reds, oranges and earthy tones. 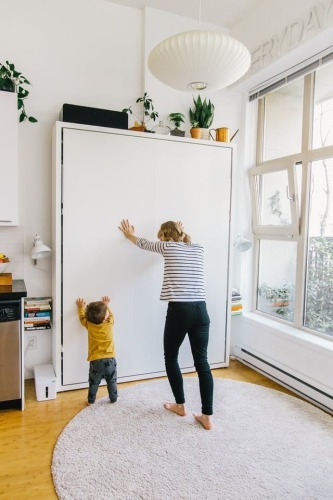 Onto another topic, if you're moving soon, this is a great read of what to do in the first day of your new space. I particularly like the ideas of putting all the moving boxes in the right rooms that they belong. Also, complete just one room so that you will have a clean retreat as you work on the rest of the house is a wonderful idea. The last time we moved, we had our living room set by the evening, so we had a nice place to sit, eat and watch TV in between the hard work of unpacking. And finally, I'm just throwing this one in just because it made me laugh. There's now a service that will take away your ex's things from your home after a breakup. It's called ExBox, and it will keep your ex's belongings until you decide how you want to deal with them.